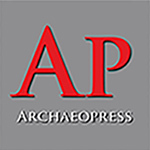 Archaeopress is an Oxford-based publisher run by archaeologists Dr David Davison and Dr Rajka Makjanic, devoted to publishing academic work on all aspects of archaeology quickly and efficiently. They currently publish across a range of imprints including Archaeopress Archaeology (peer-reviewed monographs and edited volumes), 3rdGuides (accounts of early travellers with an archaeological bias), Access Archaeology (refereed monographs and edited volumes) and Praehistorica Mediterranea. Their growing range of journals currently includes the Proceedings of the Seminar for Arabian Studies, the Journal of Greek Archaeology and the Journal of Hellenistic Pottery and Material Culture. The main peer-reviewed imprint from Archaeopress currently publishes 70-100 new titles a year covering all archaeological topics, all geographic locations and all time periods with dedicated series for specialist fields of study. Ongoing series currently include: Archaeopress Egyptology, Archaeopress Roman Archaeology, Archaeopress Pre-Columbian Archaeology, Roman & Late Antique Mediterranean Pottery, Archaeological Lives, Archaeolingua Central European Archaeological Heritage Series and more. Publications are available in a range of formats including paperback, PDF eBook and Open Access. This latest imprint from Archaeopress is designed to make archaeological research accessible to all and to present a low-cost (or no-cost) publishing solution for academics from all over the world. Material will range from theses, conference proceedings, catalogues of archaeological material, excavation reports and beyond. All archaeological content will be considered covering all archaeological topics, all geographic locations and all time periods. All books will be refereed prior to publication. Archaeopress will provide type-setting guidance and templates for authors to prepare material themselves designed to be made available for free online via our Open Access platform and to supply in-print to libraries and academics worldwide at a reasonable price point. Click here to visit the Archaeopress website for further details. Browse all titles by Archaeopress.